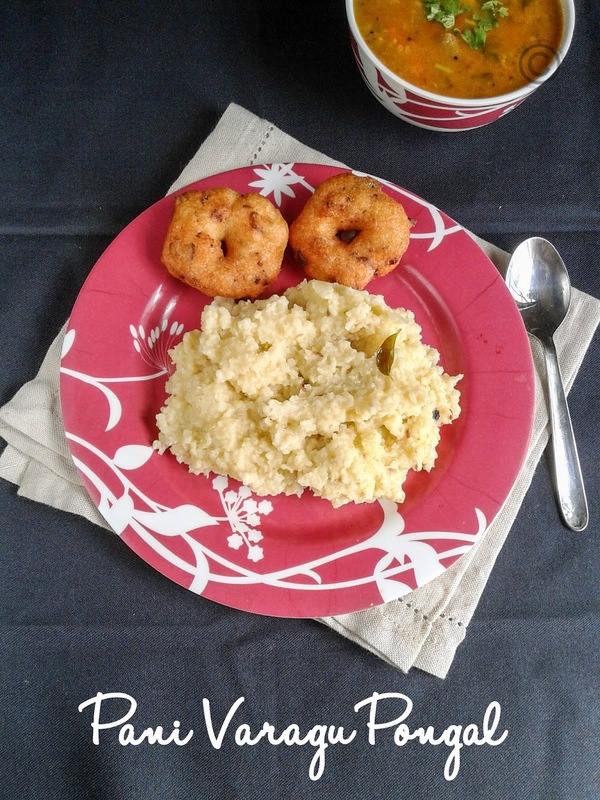 Millets are dominating everywhere and moreover we can make delicious as well as healthy dishes with it, right? I love millets and interested to make new dishes with the small magical grains… We used to buy all millets except pani varagu (proso millet), which was not available in the grocery stores where we buy our usual stuffs… Last week, I and dad went to buy brown rice, and then only I noticed the pani varagu, which looks similar to varagu but its in yellow color. 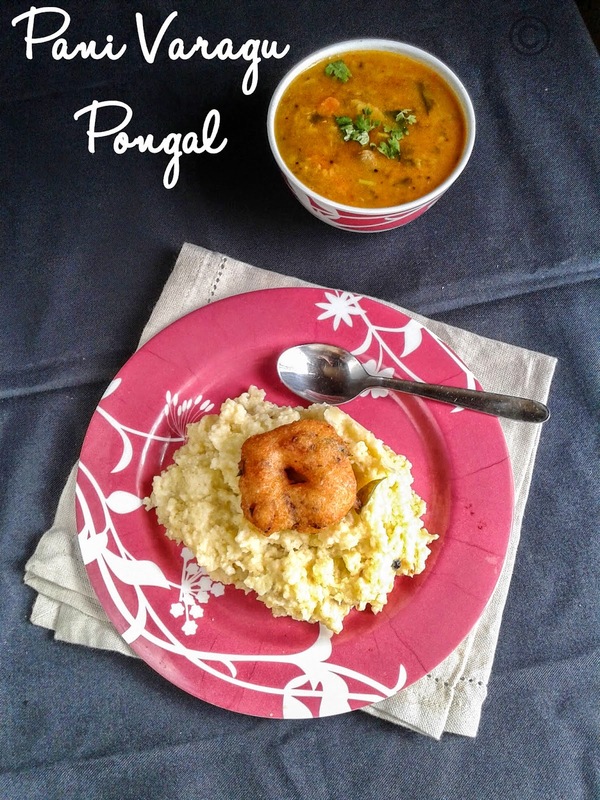 Soak the millet and moong dal together for 20 minutes. Heat pressure pan, add ghee and oil; add cumin seeds, peppercorns, and hing wait till sputter. Add ginger and curry leaves sauté it. Wash and drain the millet and moong dal to the mixture and sauté it for one minute. Now add the water with salt and mix it well and close the lid. Keep cook it for up to 3-4 whistles and switch off the flame. Now open the lid, and mix it well. 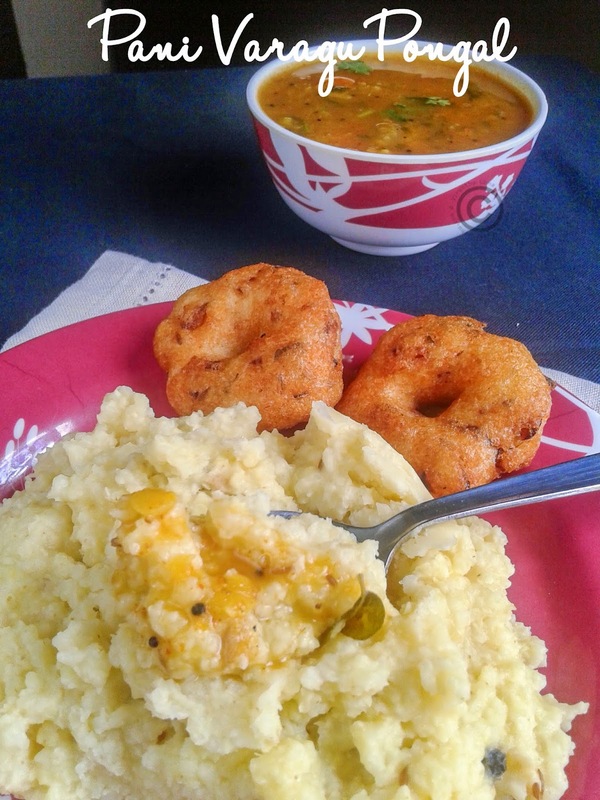 Antha plate yennaku ippadi anupidu da, super pongal with crispy vadas,tempting.